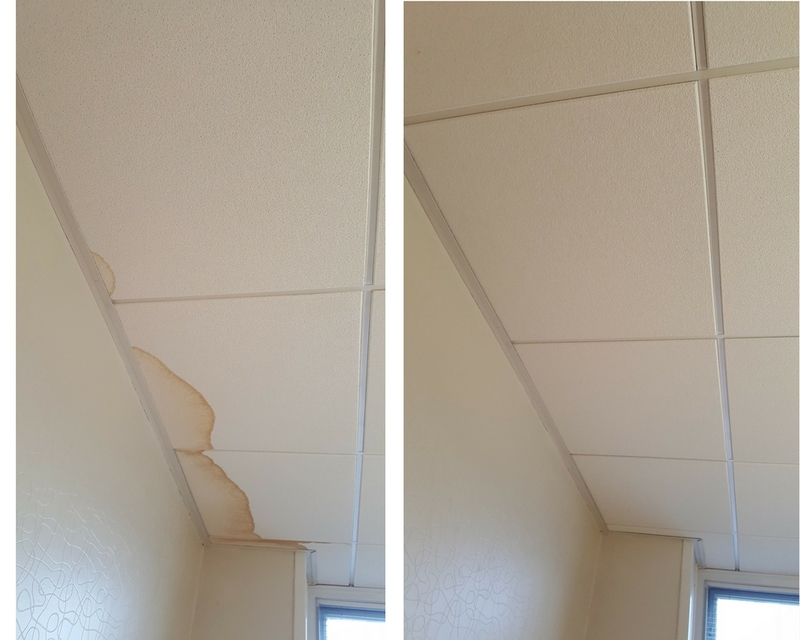 Our Yorkshire maintenance team responded to a damaged office ceiling in Leeds which needed urgent repairs following a water leak. 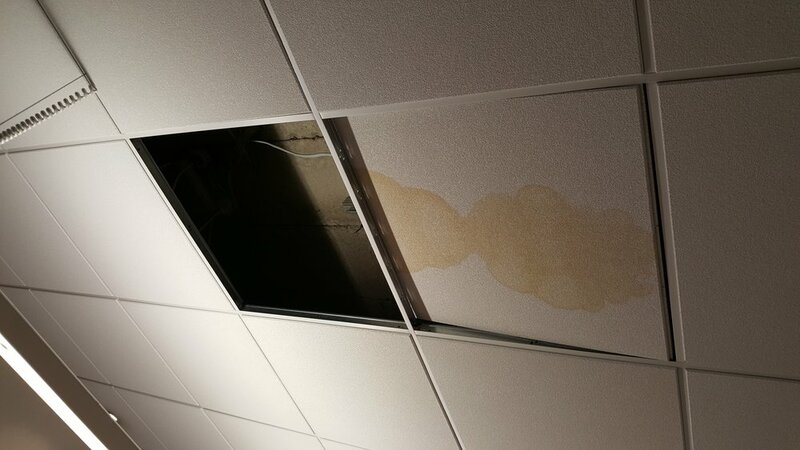 The ceiling in the boardroom collapsed due to water damage. Orchard Facilities Management's estates helpdesk took the call and sent an in-house maintenance team to inspect the site. The source of the leak was located and fixed quickly. Our team then cleared away the damaged ceiling tiles and debris before sourcing replacements to match the existing ceiling tiles. Within 24 hours the office boardroom was restored and ready for use. Orchard Facilities Management has a friendly helpdesk team ready to take calls from businesses in all parts of Yorkshire. We work closely with clients regionally, particularly in Huddersfield, Halifax, Wakefield, Elland, Leeds, Sheffield and other local towns and cities. These are areas where we can dispatch our carefully vetted and selected maintenance, repair and estates management teams. Good service is incredibly important to us and we are proud of the feedback we receive from clients who have experienced our planned and reactive maintenance and cleaning services. Whatever minor or major repairs are needed we respond quickly and complete the task efficiently. "The team on site today were very helpful, polite and couldn’t have helped any more than they did."